يشكل فندق بنسيون ملبورن - باي 8 هوتيلز بموقعه الممتاز في المدينة نقطة انطلاق جيدة لاستكشاف أفضل ما فيها من معالم ومناطق نابضة بالحياة. إن موقعه الجيد الذي يبعد 1.Km فقط عن مركز المدينة يساعد النزلاء على الاستمتاع بمعالم المدينة ونشاطاتها. يوجد العديد من المعالم السياحية الأكثر جذبًا للسياح في هذه المنطقة. يعرف 8Hotels Collection بالمستوى الراقي لخدماته ولباقة موظفيه، وهذا ما ستجده في فندق بنسيون ملبورن - باي 8 هوتيلز. هذه بعض الخدمات الموجودة في هذا الفندق: خدمة الغرف على مدار الساعة, واي فاي مجاني في جميع الغرف, مكتب الاستقبال على مدار الساعة, مرافق مخصصة لذوي الاحتياجات الخاصة, تسجيل وصول/خروج سريع. لقد جهزت هذه الإقامة الفندقية بعناية فائقة لتوفر مستوى عالي من الراحة. في بعض الغرف يجد النزيل تلفزيون بشاشة مسطحة, غرفة معيشة منفصلة, اتصال لاسلكي بشبكة الإنترنت (مجاني), غرف لغير المدخنين, مكيف هواء. يمكنك الاستمتاع بالأجواء المريحة التي تقدمها مركز للياقة البدنية, تدليك طوال النهار. يحظى فندق فندق بنسيون ملبورن - باي 8 هوتيلز بموقع ممتاز وخدمات يصعب منافستها. ستكون هناك رسوم إضافية على بطاقة الائتمان بالنسبة لأي مدفوعات ببطاقة الائتمان تتم مباشرة في الفندق، ولأي مصروفات عارضة. يُسمح بالحيوانات الأليفة لأنواع معينة من الغرف. يُرجى الاتصال بالعقار للحصول على مزيد من المعلومات. Great Location and good Value for money. Felt a change in the product from when it was Pensione Hotel, but overall still very good. Superb accomodation for short stay. The location is excellent! There is nearby halal kebab. Near to Southern Cross Station & Spencer Shopping Center. The tram station is too near! Everything is good except for the small bathroom. The receptionist was helpfull by giving me map & assist on my tram experience. Will definitely stay here on my next trip. Thanks! Great place to stay. central location in CBD, easy access to everything. Love the free trams around Melbourne. Great location, just 5 mins walk from Southern cross station. Facilities are great except the hot water supply is very unstable. Most of tours have pick up point just round the corner. On arrival, the guy on reception was friendly and keen to help. The room and the rest of the hotel was clean. Location was really convenient for Southern Cross rail station and the city centre. Breakfast was lovely. The room is not as small as described by other travelers. Instead, the room size is just nice and I'm impressed with how the hotel utilize space so effectively. We stayed at a ShoeBox and a Trio Room. Trio is very spacious and worth every penny. ShoeBox is slightly smaller but we have enough space to walk around in the room. Fret not, 2 luggage can be opened on the floor and still, we have enough space to move around. The shower space might be a little small for Caucasians but it's perfectly okay for Asians. The room is very clean, toilet is spotless and towels are replaced every day. The room was cleaned everyday. The room is facilitated with all essentials: towels, toiletries, coffee & tea, iron & hair dryer. 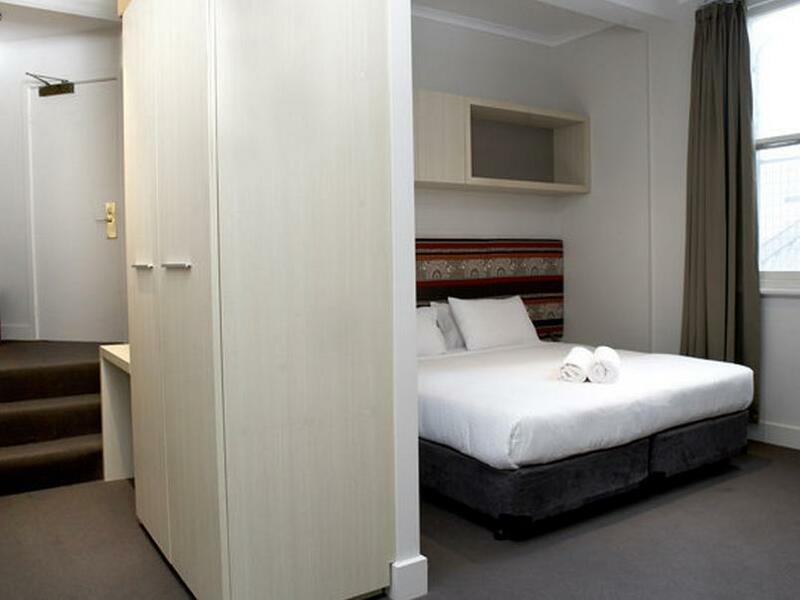 The hotel located at strategic location where Coles and 2 tram stops are within walking distance. Crown casino is just a 3 min walk away. Will definitely return to this hotel in the future! Needed a room for three adults nearby to the convention center that wasn’t costing the earth. Best Western Melbourne was perfect! I’m sure I saw something about it being Pet Friendly too, which for me is a massive bonus! It was more than comfortable, the staff were gorgeous, and the key criterion for me was that it was within my budget. 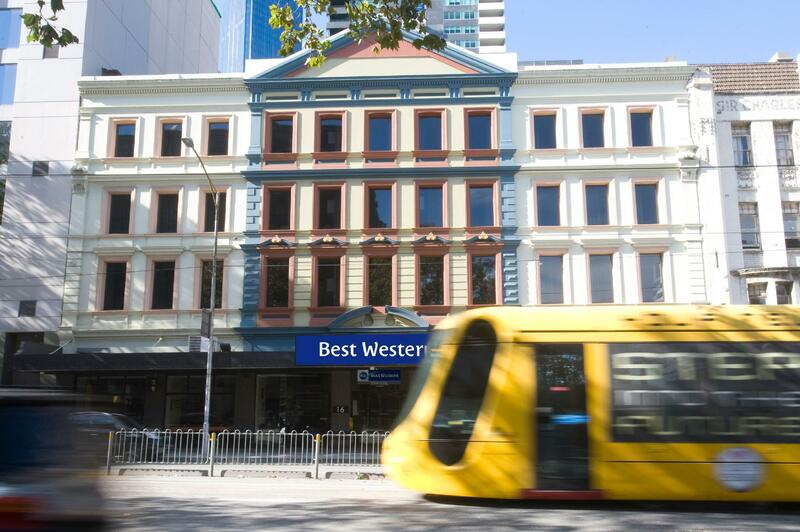 Best Western Melbourne City will be the first place I contact for staying in Melbourne from now on. Except it was hard to hang towel and things in the bathroom, it is a great accommodation. Helpful staff, great location, nice room, good value. This is the 2nd stay in this hotel in the month and will stay again next time. I was travelling to airport early in the morning, and this hotel is minutes walk from the Skybus. Hotel is small, and perfectly presented. Staff are extra friendly and hospitable. They upgraded me to a standard room for the price of shoebox room and included free breakfast. Really enjoyed my stay. Excellent value for money. It met our needs - I understand what people meant about the bathroom being tiny, but it wasn’t an issue. Shower was nice and hot. I really liked the style and design of hotel - tiny - but cute n quirky! Loved the rooftop - a lil oasis amidst a concrete jungle. Will definitely stay again. stayed here for 2 nights as a short city break the location is good with easy access to shops and amenities with excellent access to public transport. Staff were helpful and accommodating. The hotel has a small cafe attached to it which serves a good value breakfast in very quirky surroundings...the only downside to the cafe is it's opening hours are limited. Pros- location is just ok, far from the centerfield district. Have to walk bout 6mins to take tram. Cons- Dirty hotel, a lot of unknown bugs and ants on the walls and the bed is really itchy to sleep on it. I bought the insects repellent to spray on it and every where. This was my second stay at the Great Western Hotel. Helpful, friendly staff, Handy location to: Southern Cross Station, Convention Centre, Restaurant's, DFO South Warf, Free CBD Tram. Asked for quiet room and got just that. Great stay, thanks. Although the room is small as it described as matchbox room, it has everything I needed in this room. Very clean, bedding and pillow very comfortable. Walking less than 10 minutes after getting off Southern Cross station where I got off from airport shuttle skybus. 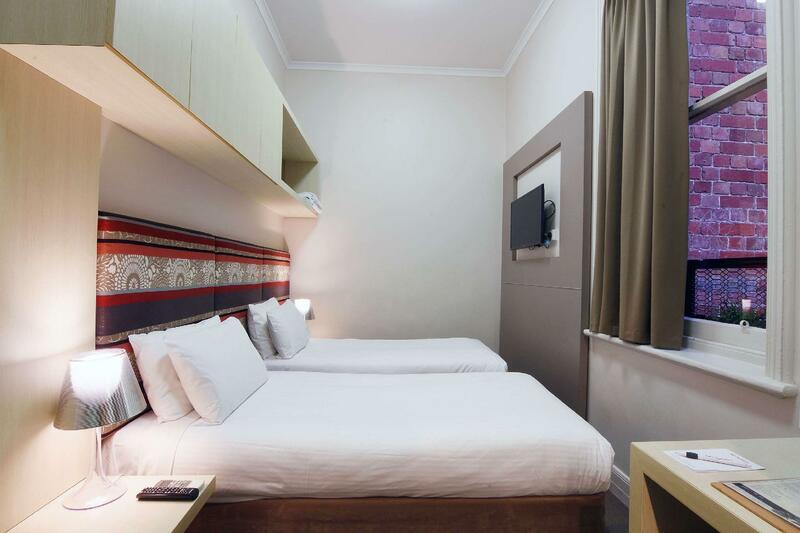 The hotel is located very close to southern cross station which is the skybus terminal. I had booked 3 nights at this small matchbox room, the room is warm and quite cozy. However, the con side of this room is there is no hooks to hang any clothes etc, the toilet is a open concept (is just meant for 1 person), basin is small and at a very awkward place where you can't really use it to brush teeth or worst the old water flask is too big to even get water from there, I have to get water from the shower head in the shower area. 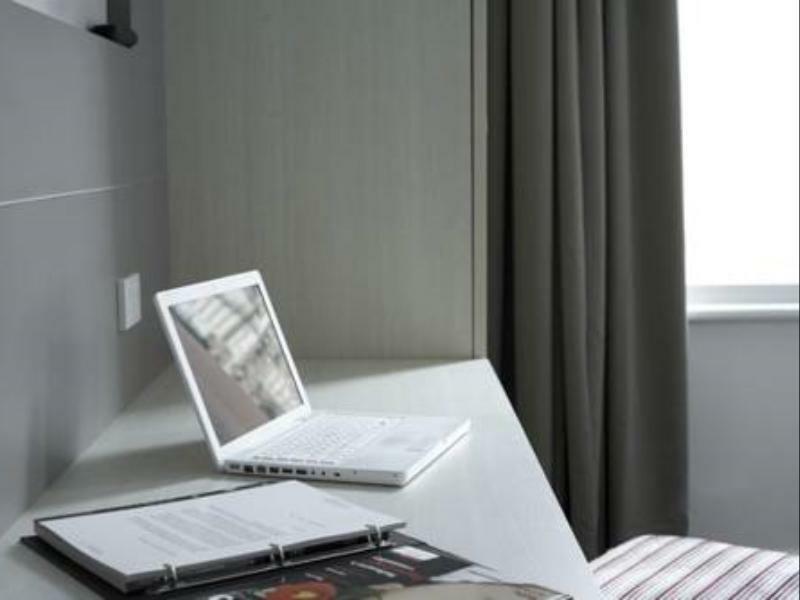 The pros of cos is the location and cleanliness of the hotel and room. The cons I mention did not affect my stay but I felt funny about how silly the design can be and it's really not meant for some big size person. Perfect location and good value for money. Facilities were great although we could hear the water running from other rooms showers through our walls which was annoying late at night when trying to sleep. But having said that would stay again.